The Philadelphia Museum of Art has a major new exhibition that showcases the museum’s permanent collection of contemporary art like never before. It’s called Embracing the Contemporary and it’s a celebration of one of the nation’s leading collections of present-day art. 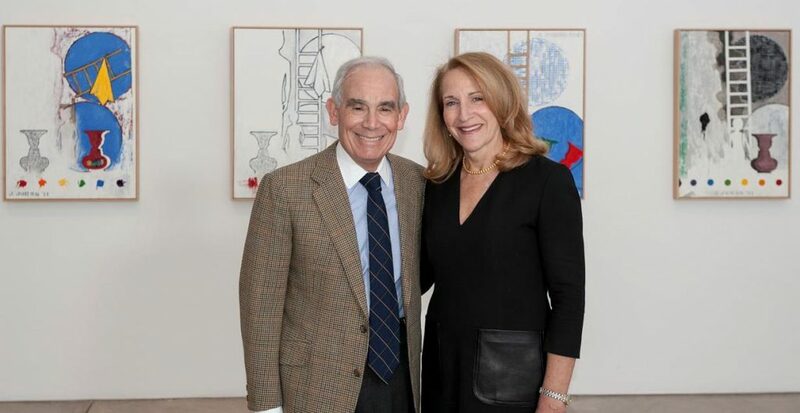 The exhibition includes the private collection of Keith L. and Katherine Sachs. They gifted it to the museum a few years ago. “They are long time patrons of the museum and they have been collecting art for the last 30 years,” says Carlos Basualdo, organizing curator of the exhibition. From paintings to sculptures, it’s a selection of works by some of the most influential artists over the past fifty years. “They feel that sharing their collection with the museum is the way of sharing their collection with the entire city of Philadelphia,” says Basualdo. The exhibition features about 180 works, nearly 100 of which were gifted by the Sachs. “The collection includes paintings, drawings, sculptures… and there’s a wonderful selection of video,” says Basualdo. Works range from the 1950s to the present day and feature artists like Jasper Johns, Howard Hodgkin, and Ellsworth Kelly. “These are people that, for them, are extremely important, and you can find that the collection has works representative of different periods of their practice,” says Basualdo. The exhibition is organized into two sections. The first showcases the Sachs collection, and the second displays the museum’s permanent holdings. The centerpiece is Charles Ray’s 2008 piece titled Boy with Frog. “He’s a boy who is at the moment of discovery. His holding a frog is a gesture of curiosity and a sense of adventure,” says Basualdo, who adds that the centerpiece captures the true essence of the collection as well. Embracing the Contemporary opens June 28th and remains on exhibit through September 5th.